When it comes to the maintenance of normal health and function, amino acids are key. These key compounds are often considered the building blocks of our cells, as they make up every single protein found within the human body. Within this, these amino acids are used to create the enzymes that are integral to normal metabolic and physiological processes, they are required to produce energy and transport certain compounds throughout the body, and they are even used to build the cells of our organs, hair, skin, and nails. In short, they are important. Interestingly, the supplementation of certain amino acids has actually been shown to have a myriad of different of effects within the body, thus enhancing health and function in a big way. And one key amino acids that is currently taken the health industry by storm is L-Carnitine. In short, L-Carnitine is a specific form of the amino acid Carnitine. It exhibits the exact same effects as regular carnitine once absorbed into the human body, but is absorbed much more readily after consumption, making it highly effective as a supplement. Carnitine is found in nearly every single cell within the human body. This is because one of its primary roles is to transport fatty acids within the cell to the mitochondria, where they can be broken down and metabolized for energy. This ultimately explains why carnitine is often hypothesized to act as a potent fat burner. Within this, carnitine has also been shown to have some associations with normal cardiovascular function, and has even been suggested to improve cognition and neural functioning, hence its huge popularity as a dietary supplement. 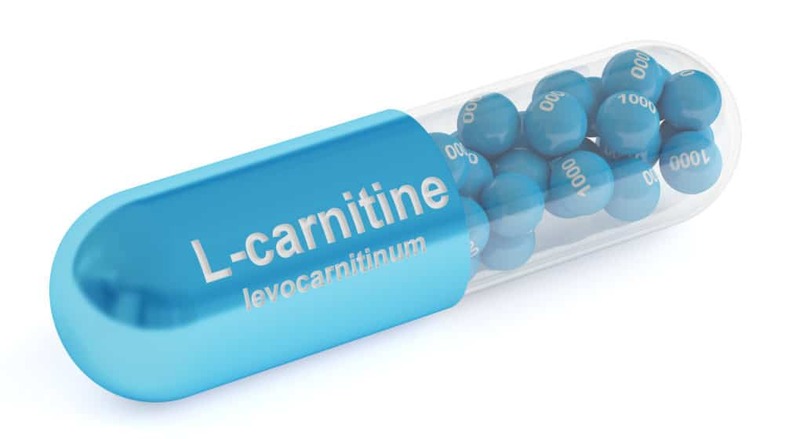 Given the claims made surrounding this important amino acid, we wanted to take an objective look at the research to determine where the supplementation of L-Carnitine offers its most benefits, and where it doesn’t. Given that one of carnitines key roles within the human body is to assist in the metabolism of fatty acids for energy, it stands to reason that increasing the amount of it found within the body should increase your capacity to burn fat and lose weight. And there is evidence to support this in full, with the daily supplementation of L-carnitine showing to enhance fat loss, causing reductions in, weight, BMI, waist circumference, and hip girth . Can L-Carnitine Help Improve Exercise Performance? As fats provide the body with a huge amount of energy per molecule, endurance exercise performance is highly dependent on the body’s ability to break them down and use them for energy. As L-carnitine is known to facilitate this process, its supplementation has been shown to increase endurance exercise performance by enhancing the body’s ability to breakdown fats for energy and reduce lactic acid accumulation within the working muscle tissue . Can L-Carnitine Help with Depression and Anxiety? One interesting area of carnitine research surrounds its impact on mood. While the exact mechanism remains unclear, it is thought that carnitine has certain antioxidant and anti-inflammatory properties that positively impact the cells of the brain. And if we combine this with its suggested ability to enhance blood flow (and therefore increase nutrient availability in the brain), then we have a recipe for success. You see, the supplementation of L-Carnitine has been shown to enhance mood in an extremely positive manner, causing a reduction in depressive feelings. This suggest that it may offer an additional and natural treatment for people who suffer from diagnosed depression and anxiety . Can L-Carnitine Help Improve Cognition and Dementia? In conjunction with its impressive effects on mood, the supplementation of L-Carnitine has also been suggested to exhibit a protective effect on the tissue of the brain and the nervous system, while simultaneously enhancing their function. As a result, its supplementation has been shown to increase memory and mental processing, while also staving off age related declines in cognitive function. With this in mind, it has also been shown to assist in the treatment of dementia and other neurodegenerative diseases such as Alzheimer’s . 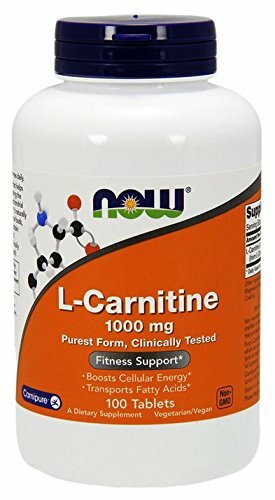 Does L-Carnitine Improve Heart Health? And finally, in conjunction with everything else mentioned above, L-Carnitine supplementation has also been suggested to impact the heart in a very positive manner. You see, by increasing energy production within cardiac tissue, carnitine has been shown to enhance the body’s ability to move blood throughout the body. This can cause significant improvement in cardiovascular health, improving blood pressure and reducing the risk of developing heart disease in a very big way . Considering the sheer volume of research that l-carnitine has to support its use across a number of different areas, we wanted to give you some great options that you can implement into your routine as quickly as possible. 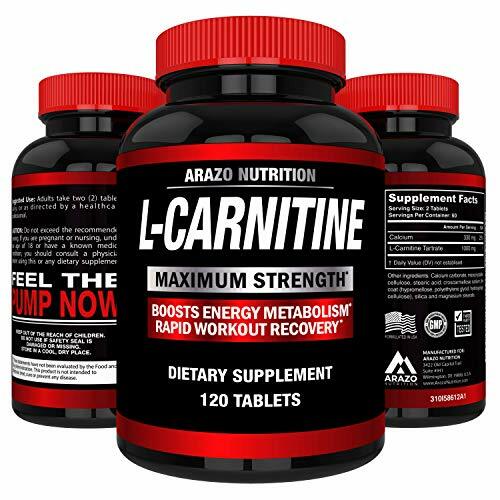 This particular option by ARAZO nutrition is both one of the most popular and one the most well received l-carnitine supplements on the market. 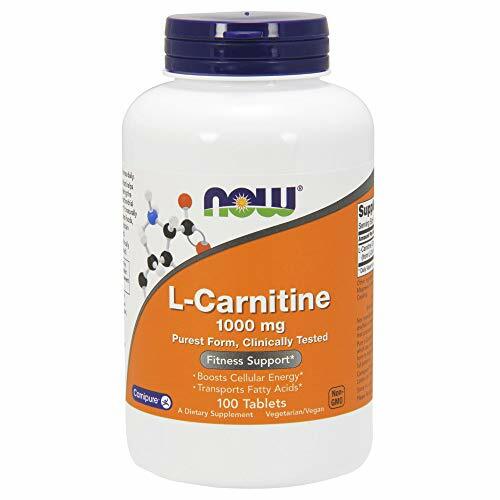 Providing 1000mg of pure l-carnitine pure serve, it has been applauded for its high quality and excellent effectiveness. You really can’t go wrong with this option. 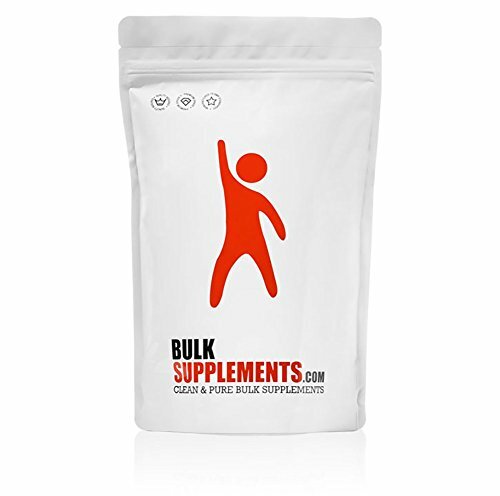 Bulk Supplements have built an incredible reputation for producing simple and pure supplements that contain no fillers. Their L-carnitine powder is a prime example of this, offering you nothing but pure l-carnitine in powder form. While this option is slightly less convenient than a tablet, it is extremely cost effective, and means that you can tailor your dosage as you see fit. 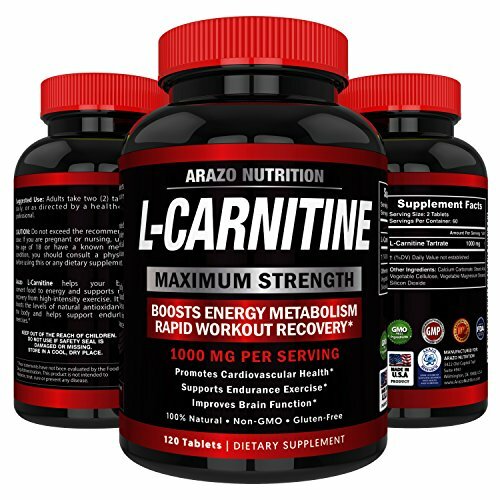 NOW are another great quality company that consistently produce high quality supplements at very affordable price points – and their l-carnitine is no different. Providing a highly potent dosage of 1000mg per serve, this great supplement has everything you need to enhance health in a very cost-effective manner. L-Carnitine offers the most effective method of supplementing with the amino acid carnitine. With this in mind, it has been shown to enhance fat loss, boost endurance performance, increase both mood and cognitive function, and even protect you from heart disease and Alzheimer’s. When its comes to supplements that offer some serious bang for your buck, its hard to look past l-carnitine. As always, if you have had any experience using this increasable supplement then we would love to hear about it, so drop us a comment and we will get back to you ASAP.